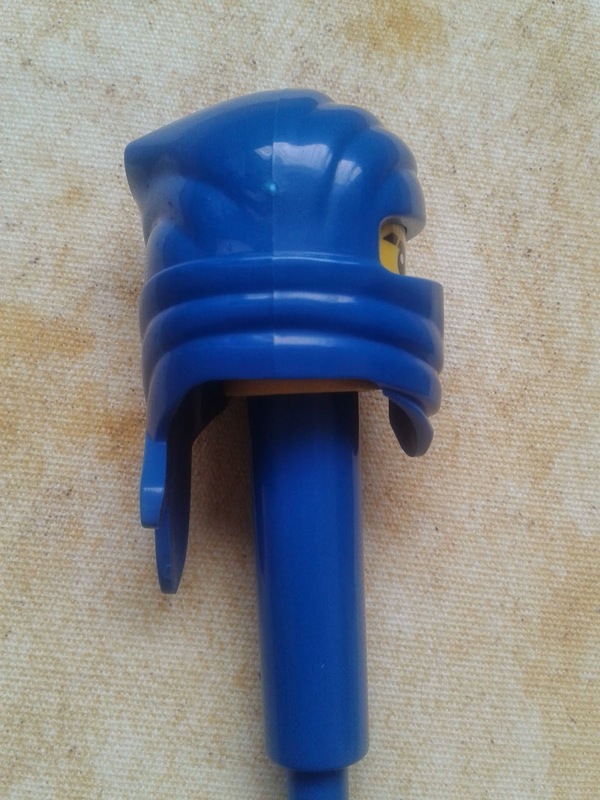 What could be so special about this Lego Ninjago? 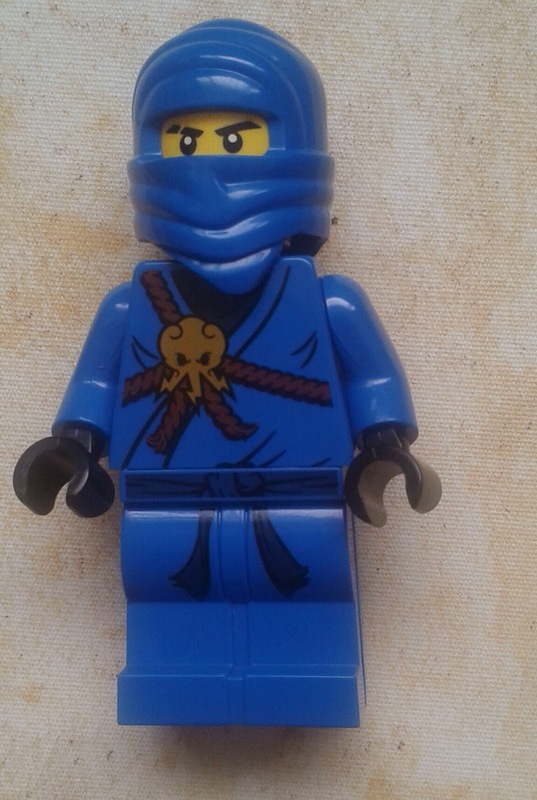 I bought this Lego Ninjago for two reasons. 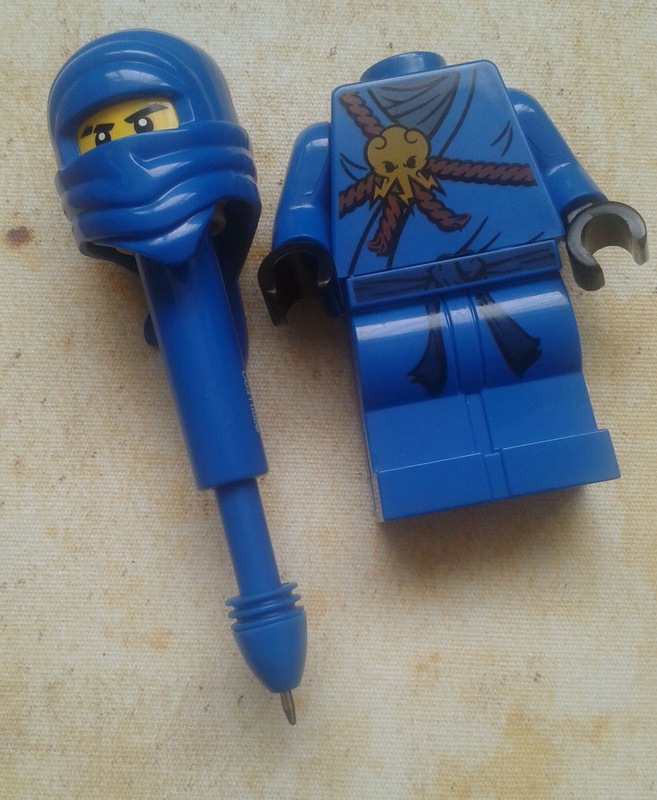 Firstly because inside this innocent looking Ninjago is a pen, to be used for recording all your mission objectives and top secret data and secondly because I wanted to tease my son. He loves Ninjagos and would be absolutely outraged at the thought of me, his embarrassment of a mother owning a toy that he doesn't have! 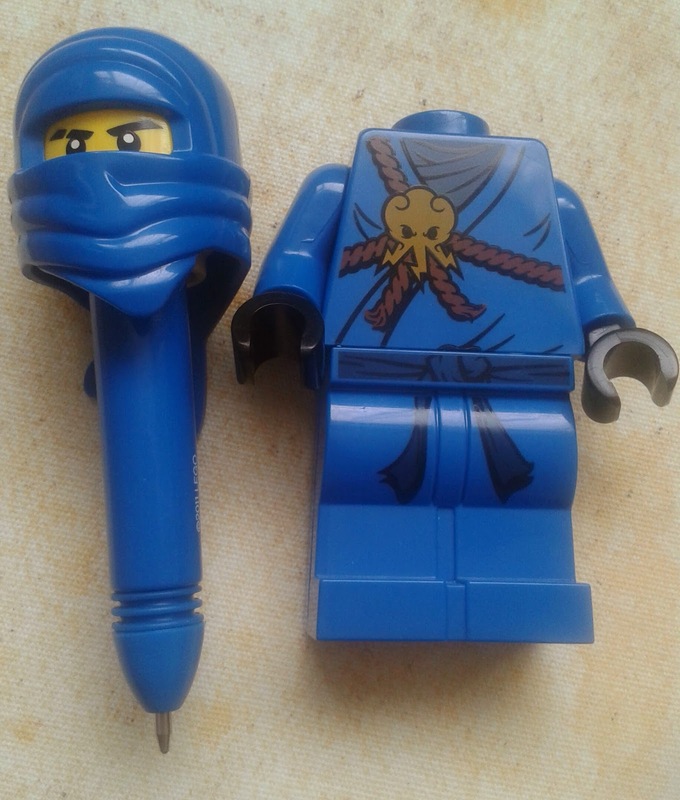 It would be fun to give this to a child who was completely unaware it was a pen. If they were anything like my son, they would eventually attempt to behead poor Ninjago for one reason or another and discover the hidden superpower that lay undiscovered for so long. OK, maybe a day or so. Just pull off his head (you may need to twist it slightly) and there you have it. I don't know if it will feel any different for a child but I found it extremely uncomfortable to write with. As I was writing it was digging into my fingers so much that I had to keep stopping every couple of minutes. The pen can be used either long as pictured above, or short as pictured below. I don't think it makes a difference how you use it. It's determined to be awkward. His head feels so heavy sat at the top that it's a battle just to keep it upright. And if that wasn't enough, his scarf that hangs at the back of his head was also digging in to my hand. It didn't matter how I held it, it was a pain in the backside. Ink-wise it was fine. No issues at all. Flows nicely. Not of that matters though. It's not a pen designed for comfort. It's a fun Lego collectors item that my son will be swiping from my shelf the second my back is turned. I'm sure he won't be analysing it's writabilty. He'll be battling it with dragons and and drawing stick men in his spelling book. There are quite a few to collect, my favourite being Benny the Spaceman, who will be my next Lego pen if I ever buy any more. Pen of the year? Of course not. But definitely hours of enjoyment to be had by little Lego fans, long after the ink runs dry.